Mahmudullah acknowledged that Bangladesh needed to address the dot-ball issue, felt his team was one win away from turning things around. 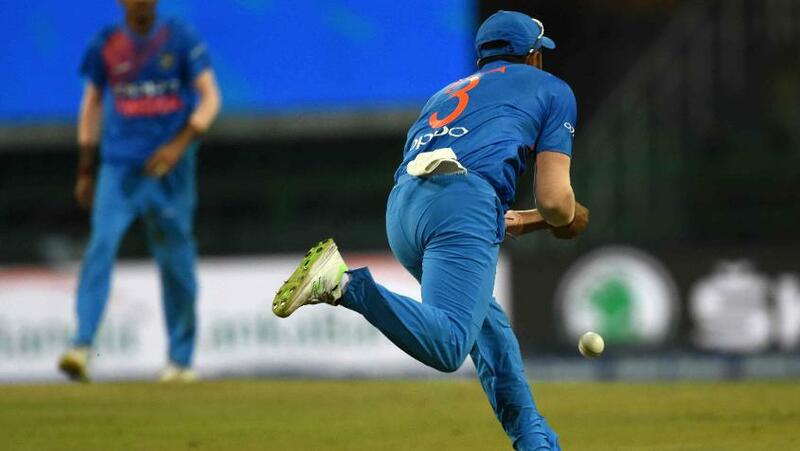 An excellent bowling performance followed by a smart effort with the bat gave India a six-wicket win over Bangladesh in the second fixture of the Nidahas Trophy Twenty20 International triangular tournament at Colombo’s R. Premadasa Stadium. First, Jaydev Unadkat (3/38) and Vijay Shankar (2/32) picked up most of the wickets and Yuzvendra Chahal, Shardul Thakur and Washington Sundar kept things tight to restrict the opposition to 139/8, a below-par score on a pitch where batting wasn’t too difficult. 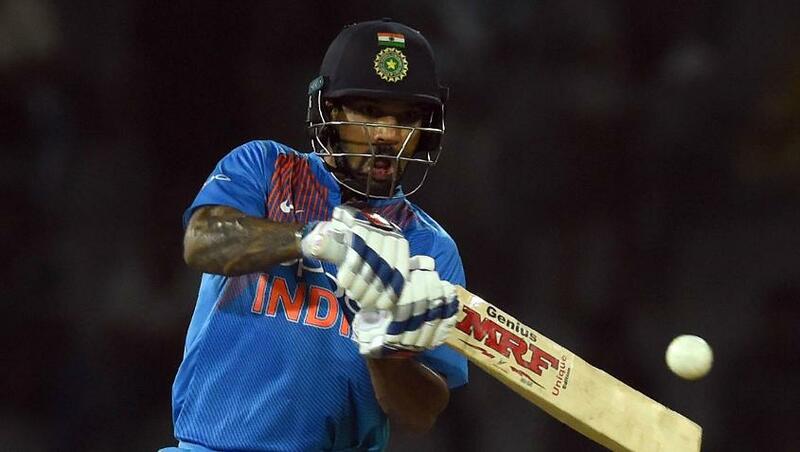 Shikhar Dhawan then stroked a 43-ball 55 to lead the Indian charge to victory, which they achieved with eight balls in hand. The Player of the Match was Shankar, who had two catches – including a sitter by Suresh Raina – dropped in his first over, but still picked up two big wickets, those of Mushfiqur Rahim and Mahmudullah. Shankar is an all-rounder, but it’s his batting that he is more known for, but he is happy to be contributing to the Indian team in whatever capacity he can. “I’ve been looking forward for this, working really hard. Really happy that I got this award,” said Shankar, after only his second international match. Rohit Sharma, leading India as Virat Kohli gets a rest, was happy with the performance. “It was a great performance, something that was expected from us. Right from the start till the last ball was bowled, it was clinical. The way we came out and bowled and later the way we batted – complete team effort,” he gushed. One of the most interesting aspects of the Bangladesh innings was the number of dot balls they allowed the Indians – 55 in all. They hit 12 fours and three sixes, but it looked like the intention was to hammer everything, at least in the first part of the innings. Mahmudullah, leading Bangladesh in Shakib Al Hasan’s continued absence, accepted the error on the part of the batsmen. “I think we need to rotate the strike more often; dot balls are creating the pressure obviously on the batsmen and we need to find a way to hit the gaps and score some boundaries in the middle overs,” he said. Sharma suggested that bowling back of the length was a plan on the part of the Indians, and it wasn’t just poor batting by Bangladesh that led to things being the way they were. “It was something we looked into, what went wrong in the last game against Sri Lanka. We thought hitting the length was probably the better option and we wanted their batsmen to take on the longer boundary,” he explained. Bangladesh have been going through a lean trot, which has coincided with the departure of Chandika Hathurusingha as their coach and Shakib’s extended layoff. “I think we are just one win away; if we get one win, it will boost us and it will reflect on our game as well,” said the stand-in captain. “We are searching for that win ad hopefully we will get it. India, meanwhile, might have restricted Bangladesh to a small total and won the game, but their catching left a lot to be desired – Raina put down a sitter, Sundar a tougher one, and on one occasion, three fielders converged on a chance only for all of them to let it go.